More than a year ago I wrote a post concerning my personal experience http://linuxmadeasy.blogspot.com/2009/09/linux-for-engineering-pratical-case.html. I manage our computer systems at work and never tried to convert user Pc's to Linux, instead sometimes I showed them some of the nice stuff and played with them when their windows system crashed, or simply because network printers stopped working. Since then all item number 7 is ok since we have Bricscad / Ares Commander, and I have moved from OWA to IMAP on my machine, and all my troubles were over. So about a month ago a Engineer colleague that had Win Vista, said to me... "Can't stand with this Sh#$ anymore, please install Linux here". I've made him a bunch of questions about software he used, and explained that one printer in our office would not work, and all stuff that is different, in the end it was ok for him so we went for it. I've had less complaints than ever from him, only thing that went wrong was a day that our Exchange Server went "mad" and he thought it was because of Evolution. This week I've had two more colleague that want Linux also. Both with XP. I guess it was because they saw a not experienced user doing so well with Linux. Soon both computer will soon boot Ubuntu instead of XP. This week also I got amazed when I saw him getting drawings out of our plotter. I didn't configured the plotter because I hadn't time. So he did it all by himself. It never happened when he had windows... Even Bluetooth configuration was made by him. That's the way, good to read that Linux desktop is working out for you in your work environment. Really great example with awesome details. This is what we need, less proselytization and more specific examples of a GNU/Linux distro making life easier. I agree. It's not that people can't use Linux, it's just that they aren't exposed to it. When my friend's XP went crazy, I moved him to Peppermint Linux. He loves it and one of the people in his apartment building wants me to do the same for him. Linux rocks.. but Mac is better? I moved to Ubuntu 10.04 when my WinXP decided to hang every time I booted. However, OpenOffice does not compare to MS Office 2007 with One Note, my Dymo Address Book software naturally will not run there and the Logitech software that IMPLEMENTS the functions of their MX Revolution mouse, Orbit webcam and Illuminated keyboard of course is not available for Linux. So, I'm stuck between a BETTER OS that doesn't have the apps I want and a rotten OS that can't keep them RUNNING! Depending on your use, the Linux ENVIRONMENT has a LONG way to go. For many, especially in business and government, I think Linux SHOULD be the ONLY choice. So far, workarounds but no actual fix for either problem. At least I'm learning from the workarounds! Do I WANT to go back to Windows? Do I WANT my Logitech, Dymo, MS Office to run NATIVELY??? Still, I DO believe we should get VERY BUSH lobbying government to STOP wasting our tax dollars on proprietary software. Get government moved over and ALL the hardware AND software vendors will port in a bloody hurry!! Oope that was to be "VERY BUSY" not "VERY BUSH"
So far I have had the pleasure of converting 7 people over to Fedora Linux. Each of them were so sick of windows, because of the constant issues, they almost begged me to give them Linux! (after I told them about it of course) All of them except one are novice users. All of them LOVE Linux. I have yet to get one complaint, they are still running their computers without virus issues or slowdowns. Yes Linux is ready for the novice user on the desktop. Thanks to advancements in Gnome and everything else that keeps getting better. Linux is not one force that builds a better OS, it is every little part that contributes to a better whole OS. I really like this article. That is the way users should be migrated to Linux. Interview the users to see what are his/her needs. Understand which are the benefits of migrating and which are potential problems. Is user using some Windows only program that is not available in Linux? Will user need to learn some new programs just to get the same functionality, this is bad, because end-user are not computer freaks that likes to learn new programs, they just like to use computer to solve there business problems. So business is in the first place and computers are second. 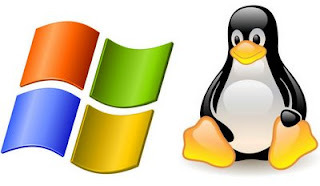 Never migrate users to Linux if you know that you can provide easy solution. Never say that Linux is magic solution for all problems. Linux is just like a Porsche car with two seats. It is excellent solution for user that enjoys in driving a car, traveling around the country. But if you have 5 children and two dogs, you got to really think twice to buy a two seat Porsche. If you buy a Porsche in this case you can have a nightmare. You need to drive each of 5 child to school separately. You need to drive each dog to some dog-school activities separately etc. This is very bad solution. Back to Windows/Linux. If there are users that are using some specific Windows only solutions, then you should be very careful what are you doing. If there is only single application in running in Wine and that application is not very important to users this may be ok, but if you have tons of programs running inside Wine then this is not good. I have been working for a 2000+ company and you would be astonished to see how many different applications end-users are using. A lot of them are some applications solutions developed years ago, like a decade or more that are Windows only. This applications are using some database drivers dependencies, you to get them working in Wine you have to install database drivers in Wine first, this all can be very time consuming to figure it out how to do it and if the solution is working then it has to be stable non-crashing environment... In companies or government there are tons of people that are in-deep users of some applications. Like I know some of financial officers that have much much more deep understanding of Microsoft Excel that I have, despite I have been using Excel more then ten years. I can't help them to migrate to some open-source solution like OpenOffice. I am also a heavy user of OpenOffice, but am I really so deep in understanding that all of end-users problems can be easily solved with adequate solution. Please don't forget that end-users DO NOT like to learn new program just to have the SAME functionalities or to have to work with new program in DIFFERENT way just to do the same job. There are not lazy, they are business people that have business problem they need to solve. One 'expert' was a one-man shop which did PC repairs, another was an experienced Windows user friend of the victim. I am working on that PC shop owner. It may take some time. I said he was missing out on the business of installing and supporting Ubuntu in his area, because at present the 6 users local to him are supported by me, free. I do not mind this at all, but numbers are increasing in that area (it is remote from my location) and some people I know actually want to get local retail support for Ubuntu! "and never tried to convert user Pc's to Linux"
If you are using Exchange 2003 I *HIGHLY* recommend using a program called DavMail. It is a gateway to Exchange that converts everything into nice open protocols (IMAP, POP, CalDAV, CardDAV, LDAP) and it is very reliable compared to Evolution. It's very simple to set up and gives you total integration into the groupware environment. I believe there is some experimental Exchange 2007+ support in DavMail too. As for mail client I find Thunderbird with Lightening calendar extension by far the best. Anyway good work dude... I hope they are allowed to choose their own distro in the future. Half the people where I used to work were pretty evenly split between Fedora and Ubuntu but it never really caused any trouble. There has been support added for the Orbit motion control although I haven't tried it my self yet. Check their forums. Great article. I've moved from Windows XP to Fedora Linux, and have had all good results across the board in similar situations as you describe. Linux is very easy, and once people use it they realize that things just work. I've NEVER had to re-install Linux on a PC, ever. With Windows, re-installations are necessary every couple of years because they just don't stay stable enough. This should tell you something. My dad is retired and has basic computing needs, and I provide 'tech support' for his pc, which he uses to access yahoo finance, bbc, bbc radio, etc. His system used to be on xp, and it was really painful seeing the system get slower over the months, get virus attacks, and generally 'sicker' over time. Even when hardware was upgraded, I could see xp took longer to boot every time I did pm (preventive maintenance) like defrag, check on virus updates, etc. When the newer hardware gave up (bad power supply), I build a dual-core Atom nettop, loaded it with Ubuntu, and did all I could to make it look/feel like XP. In fact it became an order of magnitude easier to use (auto login, startup scripts which work over time), and pm has been zero. Dad's happier, and his support tech is delighted.